Anyone violating these rules, may lose their posting privileges, or risk being banned for good. By registering and posting online you are agreeing to follow these rules. No profanity, name calling, or racial remarks (zero tolerance) of any kind. Also no negative references to gender or sexual orientation of any kind. Offensive Usernames will have accounts deleted. Only one account per person, members having the same IP address may be deleted after we look into it. All posts and topics must use common sense in dealing with subject matter read by high school athletes. For example, alcohol and tobacco references must be of a serious nature. Smack will be tolerated only until it becomes malicious towards anyone, whether they are represented on this board, or not. No trolling on other people's threads because you don't like the content, if you don't like it, don't read it. Do not use topics, or posts, for the sole purpose of criticizing an athlete, coach, a schools fans, a fellow board member, or referee by name. If you are going to be offering up negative opinions on things, please state why you feel that way, or risk having your post edited, or deleted. We aren't here to bash people anonymously without a reason. Please do not call out players, or coaches either. Unless you are willing to post who you are, and where you live, and what gives you the right to call out others. This isn't the place for that. Please don't discuss legal problems on here, its just not the appropriate place to talk about these things. You should not use the forum to perpetuate rumors of any kind, this is not the appropriate venue for such activity and is not in the spirit of good sportsmanship . 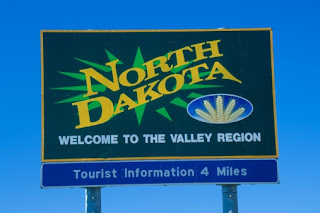 Feel free to use your own avatar, however it must be unoffensive, nothing obscene, preferably sports, computer, North Dakota, or family related if possible. Please credit all sources of copywritten material. No advertising any private businesses without permission from the administrator. Please do not violate recruiting regulations by steering certain athletes towards a particular institution. Opinions voiced on this forum are not necessarily those of the administrators, or moderators of the board. As much as we try sometimes some of these rules will be missed, please use the "report this post to the moderator" button if you see something which violates the rules of this board. These are great rules to follow so why so many posts break the rules? Everyone should remember these are young people you are wrighting about and show all of them some respect for the hardwork they put in just to make their hight school team. Most of us that blog this sight could not hold a candle to even the second and third string players. So lets discuss the merits of players, teams and coaches rather than trying to use this sight for lies and rumors. The bottom line is that members must use common sense when posting on here. Certain things just don't belong on here and we don't have time to list them all. Too much time and effort is put into making sure this is a forum that we can enjoy and be proud of, one stupid topic, or member who wants to find ways around the rules will be only ruin the work of a lot of people. Thanks to everybody who understands that, you are what makes this site continue on. if there's a post deleted it's because they choose to post something that would cause a mod to delete it. had a request to add 'calling out' as not allowed. Yeah, we have been trying to get people to stop doing that. It's not fair for someone to call out others online, when they don't have to reveal their identity. It might be hard to enforce, especially when the board is busy, but it is definitely a good idea. Actual words should be used in message board posts. We're not leaving text messages here, and not everyone has a slang dictionary in their head. If you went to school, you should know proper grammar. What is up with moderators putting "moron" and then locking thread? Who are they calling "moron" and why? Just lock it and follow the board rules - no name calling- rule #1.
i wouldn't blame all the moderators for that one. just me. i believe anyone who blatantly breaks rules that are stated now in more than one area is a moron. that enters the realm of no longer being name calling and veering more towards fact. The word Moron was well deserved! The moron kept saying the same thing after that person was told to stop! You miss 100% of all shots you don't take! It is almost as ridiculous as the grammar you just used. Wild Wolves wrote: What is up with moderators putting "moron" and then locking thread? Who are they calling "moron" and why? Just lock it and follow the board rules - no name calling- rule #1. There will be no more tossing out the race card. I don't want to see a white person complain that they didn't win an award cause a brown person won it. I don't want to see a brown person do they same either. If I do, you are gone for 2 weeks. Plain and simple. balla45 wrote: There will be no more tossing out the race card. I don't want to see a white person complain that they didn't win an award cause a brown person won it. I don't want to see a brown person do they same either. In regards to rule number 3 is there a way to switch your name cuz i dont want to call anyone out if thats what they have been doing. Because i know of a person who has at least two names and i think he has a third. He does not use the first one anymore and i dont think the second one either. Just wondering he must have deleted accounts and changed or something. gobison#6 wrote: In regards to rule number 3 is there a way to switch your name cuz i dont want to call anyone out if thats what they have been doing. Because i know of a person who has at least two names and i think he has a third. He does not use the first one anymore and i dont think the second one either. Just wondering he must have deleted accounts and changed or something. If you want to switch your name, talk to the administrator. People will occasionally have more than one name, but when that happens, we are quick to warn and ban. Sometimes we do wonder if there are say 2 or 3 people from one household posting, so we take that under consideration. I can change it for you. But usually people are quick to pick up who you are again. Sometimes it's just best to ask me to delete it and start over. thanks for the info. im guessing the person that i was wondering abouthas just switched his names a few times.